PAID-FOR MEDITERRANEAN CRUISE IF YOU BUY THIS PROPERTY FOR THE ASKING PRICE NO ONWARD CHAIN Taylors Estate Agent are delighted to offer this beautifully presented two bedroom lodge for sale. This airy modern home with scenic lake views is set in a peaceful location within The Cystal Lakes Park. The park covers around 12 acres of meadowland and small but beautifully mature fishing lakes. The site is very picturesque and although completely secluded, is only a matter of a mile from the A14 between Cambridge and Huntingdon. The village of Fenstanton is 10 minutes walking distance and the historic market town of St Ives is only about 25 minutes away. Decorated to a very high standard, the property itself comprises of an entrance hall, modern kitchen/ diner, spacious living room with scenic views, master bedroom with an en-suite, double bedroom and a family bathroom. 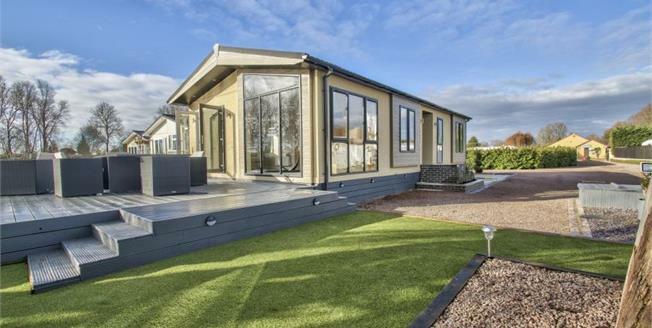 Offered to the over 50's, this lovely lodge can be occupied all year long. Furniture, Fixtures and Fittings: These can be negotiated. Further information available on request.